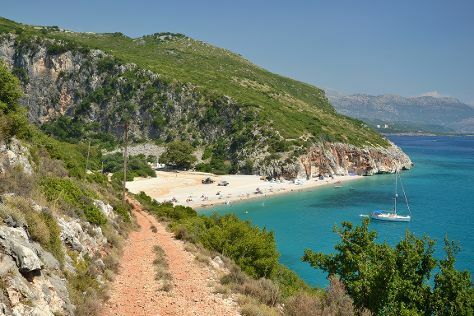 Kick off your visit on the 2nd (Tue): kick back and relax at Dhermi Beach and then kick back and relax at Gjipe Beach. Inspirock's itinerary builder makes planning a Dhermi trip simple and quick. Sydney, Australia to Dhermi is an approximately 32-hour flight. The time zone difference when traveling from Sydney to Dhermi is minus 8 hours. Expect little chillier evenings in Dhermi when traveling from Sydney in April, with lows around 13°C. 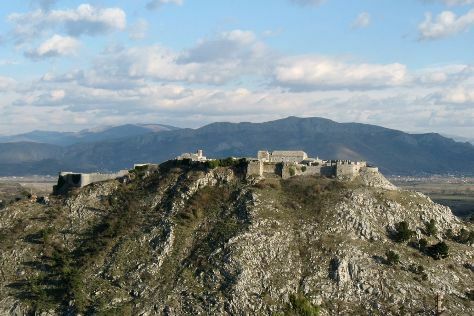 Wrap up your sightseeing on the 2nd (Tue) to allow time to drive to Shkoder. Its geographic location has made Shkoder, one of Europe's oldest cities, an important cultural and economic center of the Balkans over the years. Kick off your visit on the 3rd (Wed): take in the views from Mes Bridge, revel in the low prices at Venice Art Mask Factory, take in the spiritual surroundings of Orthodox Cathedral of the Nativity, then examine the collection at Marubi National Museum of Photography, and finally explore the historical opulence of Rozafa Castle. To see other places to visit, more things to do, traveler tips, and more tourist information, you can read our Shkoder trip itinerary planner . Traveling by car from Dhermi to Shkoder takes 4.5 hours. Alternatively, you can do a combination of shuttle and bus; or do a combination of shuttle and train. The time zone difference when traveling from Dhermi to Shkoder is minus 1 hour. In April, plan for daily highs up to 23°C, and evening lows to 11°C. Finish your sightseeing early on the 3rd (Wed) so you can travel back home.